Who says cartoons are just for kids? Kidrobot has once again teamed up with Adult Swim for an all new blind box mini series with some of your favorite late night animated pleasures. 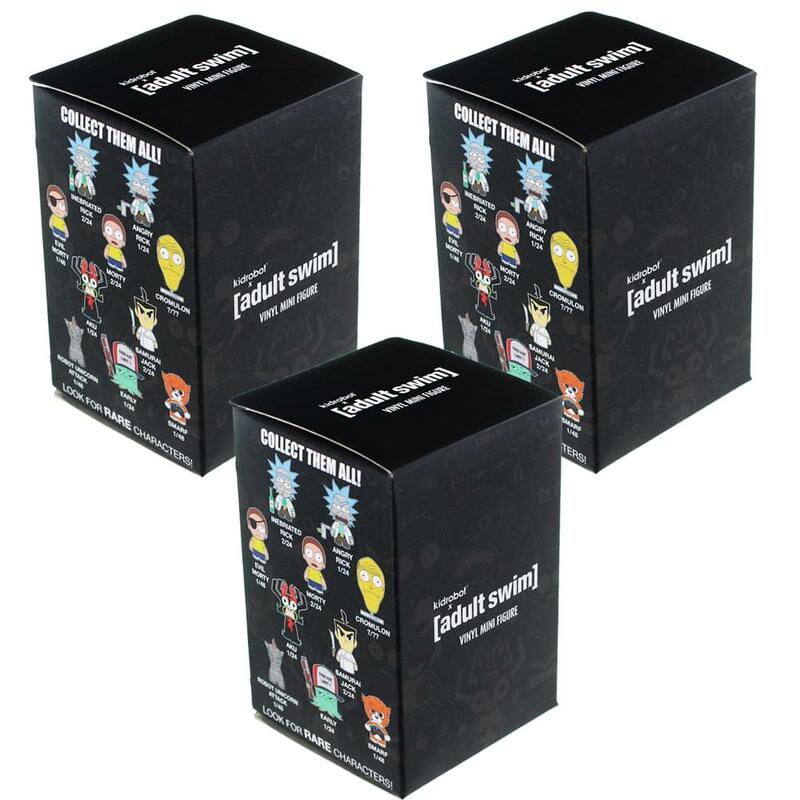 This blind boxed series features characters from Rick & Morty, Venture Brothers, Samurai Jack, Fish Center, Robot Chicken, Squidbillies, Too Many Cooks and everyone’s cult favorite app Robot Unicorn Attack. This series has something for the late-nighter in us all. Collect all 19 characters! Includes three (3) random blind boxed figures.